Pro-F foods are an excellent fish food for your tropical fish. 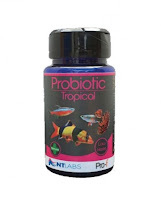 Produced by NT labs, the Pro-F range is a wide variety of foods to cover feeding of all sorts of tropical fish. Pro-F is a very high-quality food packed full of nutrients, protein and colour enhancers to ensure that your fish are healthy, happy and colourful. 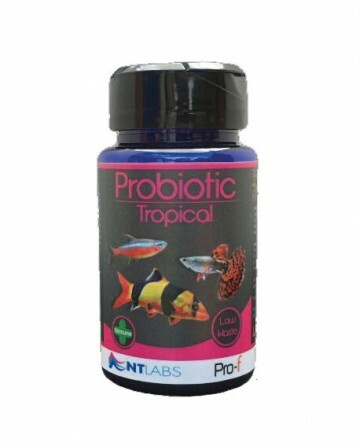 The Pro-F probiotic food is one of the best tropical fish pellets to date. Containing probiotic bacteria so that your fish can absorb more nutrients into their bodies, you will instantly see the resulting healthier fish as we did when we first used this at our shop. Pro-F Probiotic Tropical Fish Pellets aids in reducing fish waste (as more of the food can be absorbed) meaning this fish food also improves water quality. Pro-F Probiotic contains spirulina which boosts colour and the probiotic helps boosts your fishes immunity so it can fight off disease easier. Pro-F probiotic pellet is a very small pellet approximately 1 mm. This size pellet allows each to sink at different speeds so all fish can feed at their preferred water column levels. NT Labs also produce a catfish pellet in the Pro-F range. The Catfish pellet is a fast sinking pellet so that it gets down to the bottom feeding catfish quickly. Pro-F Catfish pellets are very palatable pellets for catfish. This catfish sinking pellet is high in protein to help your fish can keep weight on and maintain its health. Catfish generally produce a lot of waste. 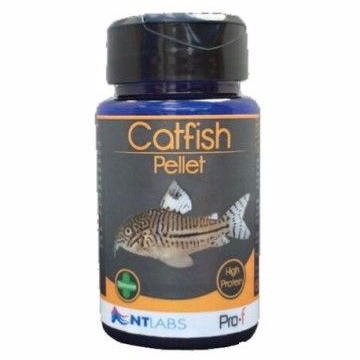 The Pro-F Catfish pellet is a high-quality food which allows your catfish to absorb more of the nutrients. This helps reduce the waste your catfish produce resulting in better water quality. 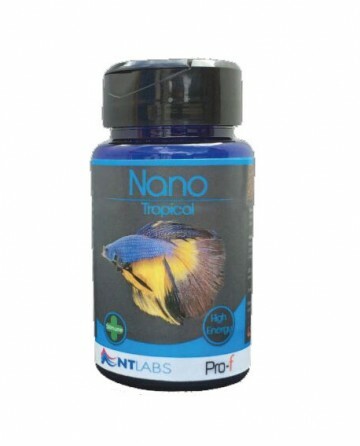 Another food from the NT Lab Pro-F range is the nano tropical food. This small pellet fish food is a slower sinking small pellet measuring at about 0.8 mm. 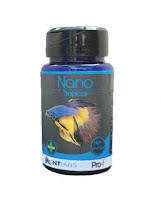 Pro-F nano food is very high in protein and like other Pro-F tropical fish food, it is easily digested and very palatable to fish. Pro-F Nano Tropical Fish food has colour enhancers so your fish continue to look as bright and healthy as possible in your aquarium. Ideal if you keep small fish that struggle with normal sized pellets.